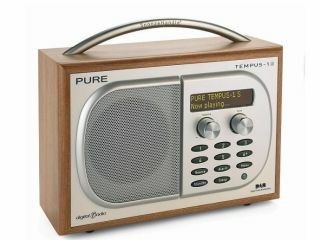 Pure Digital today announced its latest DAB/FM clock radio model - complete with natural sounds to rock you off to sleep, or give you a gentler start to the day. The Pure Digital Tempus-1S follows on from previous models in the Tempus range. It features more station presets (30 DAB or FM stations), a slot for your Apple iPod music player, scrolling text information and the usual pause/play options available on digital radio. Pure Digital has also added a range of natural sounds to the Pure Digital Tempus-1S. Intended to "aid sleep and relaxation", these sounds include birdsong, forest rain, thunderstorms and lapping waves. You can use these as background music, your alarm tone or as a fade-out for up to 90 minutes, by which time you'll hopefully be in the land of nod. There's the option of having different alarm settings for different people or days, as well as a full screen clock, crystal clear audio, USB upgradeability and an optional stereo speaker. Pure Digital has always been hot on recyclable materials. It's reduced standby power consumption in the Pure Digital Tempus-1S to just 1W, while packaging is made from a minimum of 70 per cent recyclable material. It's printed with eco-friendly soya-based ink as well, the company said. The Pure Digital Tempus-1S will go on sale in October for £100.